Paramedic Training Spot - #1 Paramedic Training Source! 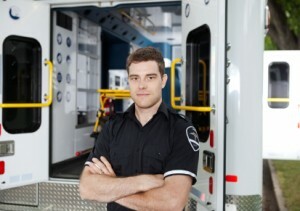 Discover schools in your local area that offer EMT or Paramedic training classes. 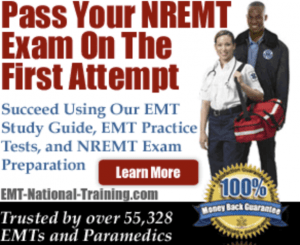 Get prepared for the NREMT examination with study guides and test questions. 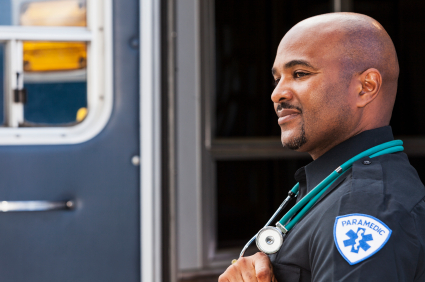 Learn how much EMT-Paramedic’s in your city earn annually . Congratulations on your decision to pursue a paramedic education. With employment of paramedics expected to rise 33% from 2010 to 2020, the future has never been brighter for those interested in Emergency Medical Services. To begin, please select your state in our interactive table to view a list of accredited and non-accredited paramedic programs in your area. 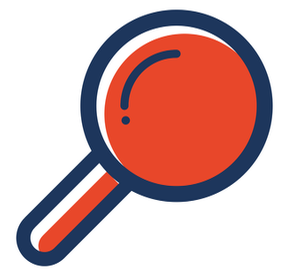 You’ll also be able to find information on state specific paramedic training requirements, paramedic school listings, details on EMT and paramedic salary figures, and even search for EMS jobs in your local area. Need even more information? Then be sure to visit our blog page, where you can find in-depth articles pertaining to EMT, paramedic, firefighter and even nursing career information, as well as news and opinion related to the health care industry. A paramedic is a certified emergency medical technician who helps care for sick or injured people. The specific job roles for a paramedic varies somewhat from state to state, and from employer to employer, but follows some basic patterns. Subjective assessment, which is the story that the patient (or a patient’s family member, or even just someone nearby who witnessed what happened) tells. This includes such things as the patient’s chief complaint (that is, the thing the patient is most concerned about), the progression of that complaint, including when and how it started, how long it lasted, how severe it is or was, and whether or not there were other symptoms associated with that complaint. This part of the assessment also includes the medications the patient takes (both prescription and not), the patient’s past medical history, and any medical allergies from which the patient may suffer. Physical examination, including either a focused exam, limited to the part of the body about which the patient is complaining, such as the abdomen; or a complete physical examination from head to toe. This is usually done when a patient is not able to tell the paramedic what is wrong, such as a patient who is unconscious or does not speak a language the paramedic understands, or when the patient has been involved in a serious trauma, or when the paramedic suspects that there may be more going on than what the patient is complaining about. Vital signs assessment, including a variety of vital signs but almost always at least the patient’s pulse, blood pressure, respiratory rate and effort, blood sugar, and heart rhythm using an electrocardiogram, or EKG (sometimes called an ECG) machine. Other vital signs a paramedic may assess include a patient’s body temperature, lung sounds, neurological state (testing to ensure a patient can still feel and move their extremities appropriately), pupil size and response to light, skin color and condition, and other signs as appropriate or required. Based on the assessment, the paramedic may begin treating the patient’s complaint, or may begin transporting the patient to a nearby emergency department (some EMS systems may allow for transport to other kinds of facilities, such as Urgent Care or specialty resources centers, such as a free-standing cardiac catheterization laboratory or other facilities). The decision to treat a patient where they are found, or to begin transporting them and then begin treatment, depends on the paramedic’s assessment of the true nature of the patient’s complaint, how severe it is, and whether delaying the treatment will be more detrimental to the patient than delaying the transport. Certain kinds of medical treatments are important enough to delay transporting a patient in order to perform them, such as using a long spine board on a trauma patient who may have spinal injuries, or giving intravenous dextrose to a patient who has an extremely low blood sugar. Other medical conditions cannot be effectively treated by a paramedic in the field (that is, in the patient’s home or wherever in the general area a patient was found), and can only be effectively treated inside the emergency department. Conditions such a stroke, or conditions requiring surgical intervention to properly manage, are things that will usually prompt a paramedic to package the patient (that is, move them onto the stretcher or gurney and secure them with seat belts or other safety devices) and begin transporting them immediately. 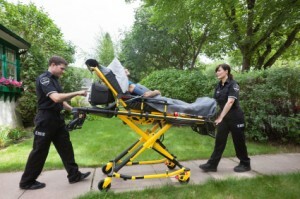 This is the process of moving the patient from the place where the paramedic found them, such as in their home’s living room or along the side of a roadway, to the emergency department or other destination. Transporting a patient usually includes three basic stages: packaging the patient, driving to the destination, and continuing assessment and treatment during the transport. As noted, packaging a patient is the process of moving a patient from the place they are found, whether it be the recliner in their living room or the dirt shoulder of a highway, onto the stretcher or gurney and then into the patient compartment of the ambulance. 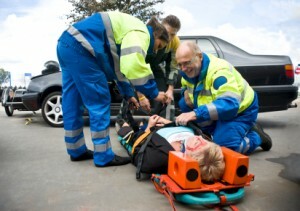 It includes any action the paramedic and the crew may need to take to properly secure the patient, including: strapping them onto a long spine board in order to protect a possibly injured spine; lifting them or assisting them in standing and walking to the gurney if necessary; securing the stretcher’s seat belts or other safety restraints; covering the patient with blankets or sheets in an effort to either keep them warm, or protect their modesty. Once the patient is packaged, the stretcher is then loaded into the patient compartment of the ambulance, secured into place, and then one of the crew will drive (or fly, in the case of an air ambulance such as a helicopter) the vehicle to the appropriate destination facility. For a ground ambulance, the decision must also be made whether to transport the patient in normal traffic mode, driving in traffic as any other vehicle would drive, or to transport emergency traffic. Emergency traffic refers to the emergency beacons and sirens of the ambulance being activated, which permits the operator of the ambulance to do things such as drive faster than the posted speed limit, and (when safe to do so) to ignore stop signs and stoplights. During the transport, the paramedic will continue to evaluate and assess the patient, perform interventions as needed, and assess the effect of the interventions.